When he reached the third floor it was easy to find his buddies apartment. Down the hall, he followed the slightly too loud music and the delicious smell of roasted chicken. Walking towards the door he reached in his bag to make sure the bubbles inside still held a chill. He knocked in time with the music and a friendly yell from within affirmed he was in the right place. It smelled even better inside. His friend was in the middle of measuring out a round of drinks for the guests that arrived early. The fridge had enough room in the door to stash the bottle of wine for later. Judging from the ingredients on the counter the cocktail would be an aviation. 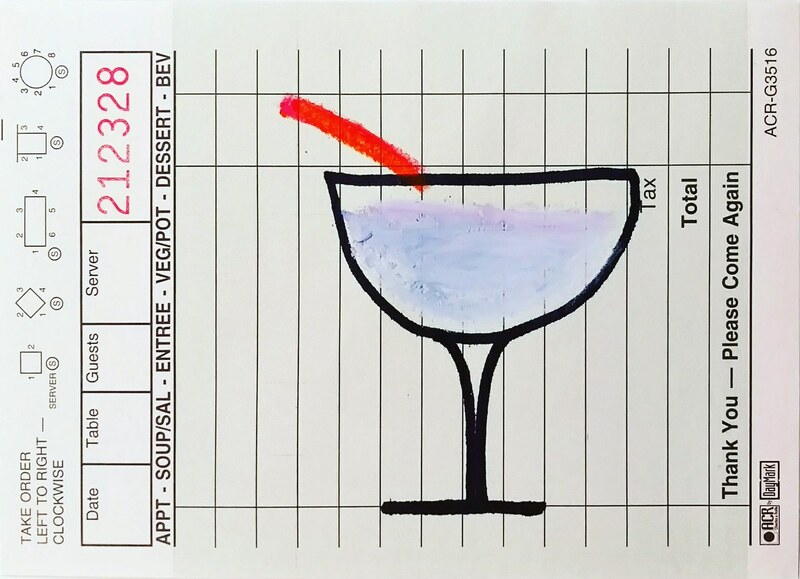 He rarely sat down to a drink with more than two ingredients before dinner, but he wasn't one to ever turn away a gin cocktail-- especially one made by the host. A correctly made aviation is a thing of beauty, but all too often they failed to impress. The silver shaker danced and for a few seconds drowned out the music coming from the living room. The drink finally came to rest in small mismatched cocktail glasses. Each one looked frigid and blueish purple. A zingy grapefruit peel finished off the presentation and with a quick toast the dinner party began.